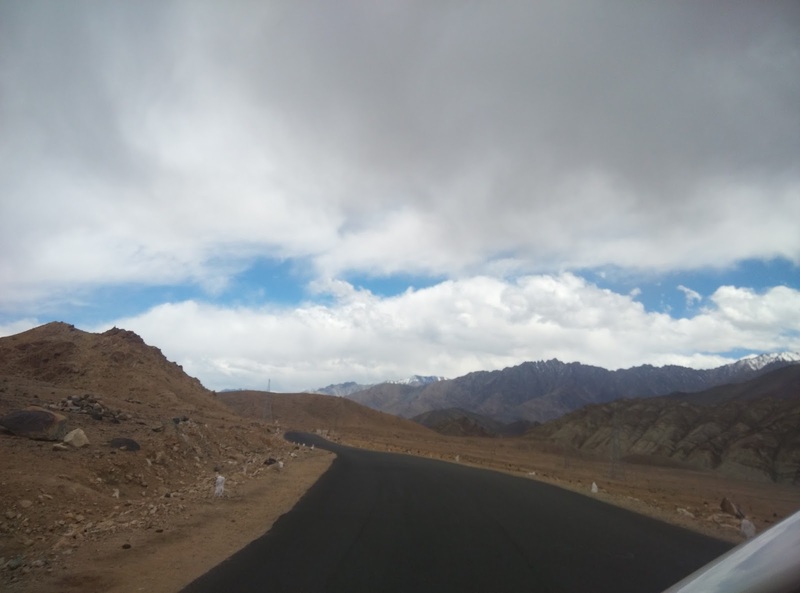 Ok, so where was I. Oh yeah, in my previous post we had almost reached Leh. 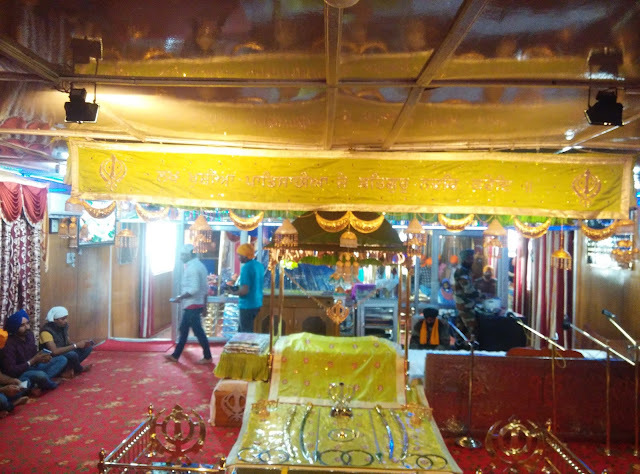 Our driver showed us Hall of Fame, Gurudwara Pathar Sahib, Magnetic Hill and Sangam View point enroute. 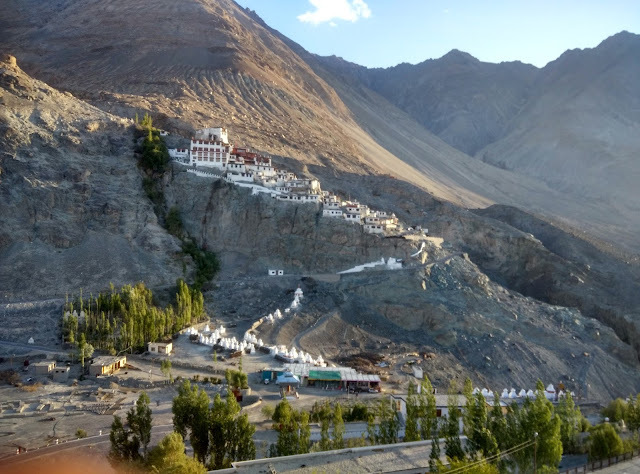 We did not stop by it because these places were exactly what we were supposed to cover during the Leh sightseeing the next day. We reached our hotel at 3:30pm and were kind off pissed. Had we planned the trip ourselves instead of the package, we would have covered these places on the same day and could cut short on one day of our trip (or most probably include another location). We then got told that we are at 11000 feet and our body would take 24hrs to adjust to the altitude so during this time we should have adequate rest. Well theoretically that made sense, practically without my laptop and internet I don’t know how I will rest (not kidding). 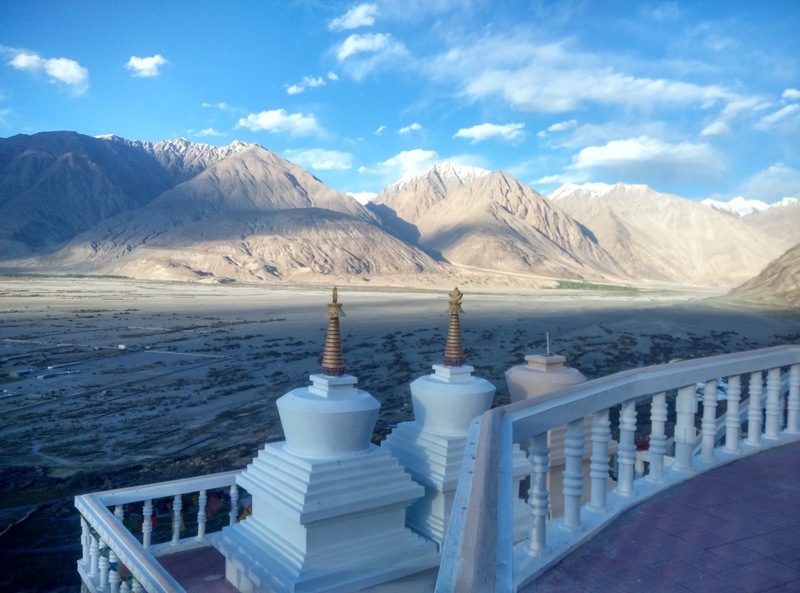 So at 5:30pm we left the hotel and went for a walk around the Leh market. It is not such a huge place and we barely walked a kilometre and we got tired. One of my cousins started feeling feverish. 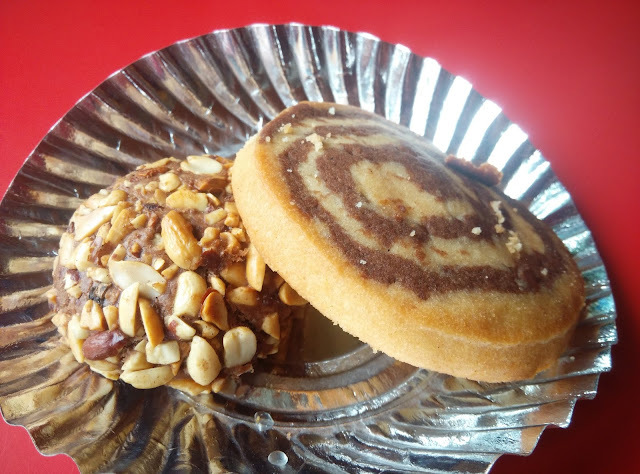 We sat at a German bakery on fort road and ordered some snacks. We then went back to our hotel and to our luck the hotel had all the English TV channels. 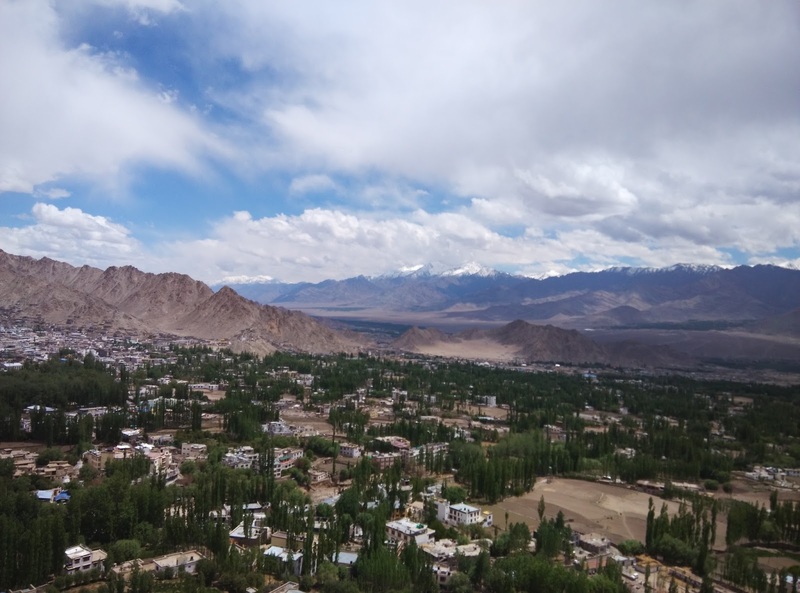 Our Leh sightseeing was scheduled for next morning at 10am so we spent most of our time watching TV. 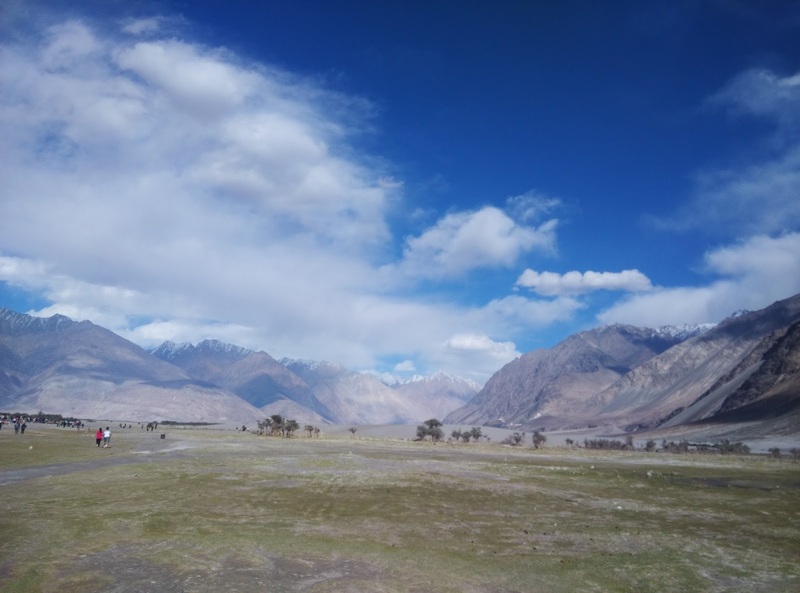 The next morning we actually started the sightseeing at around 10:30am and the first location was Sangam Valley. 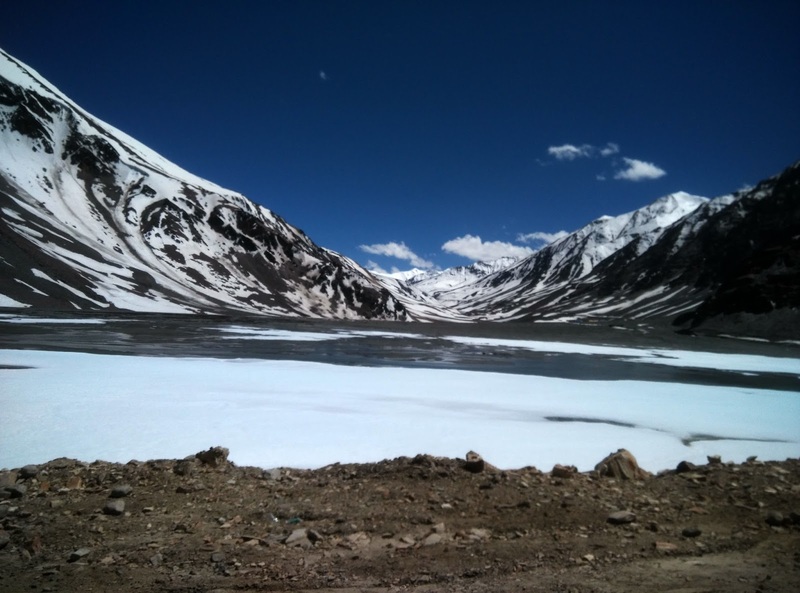 It is a 48 kilometre drive from Leh and is the meeting point of the rivers Indus and Zanskar. 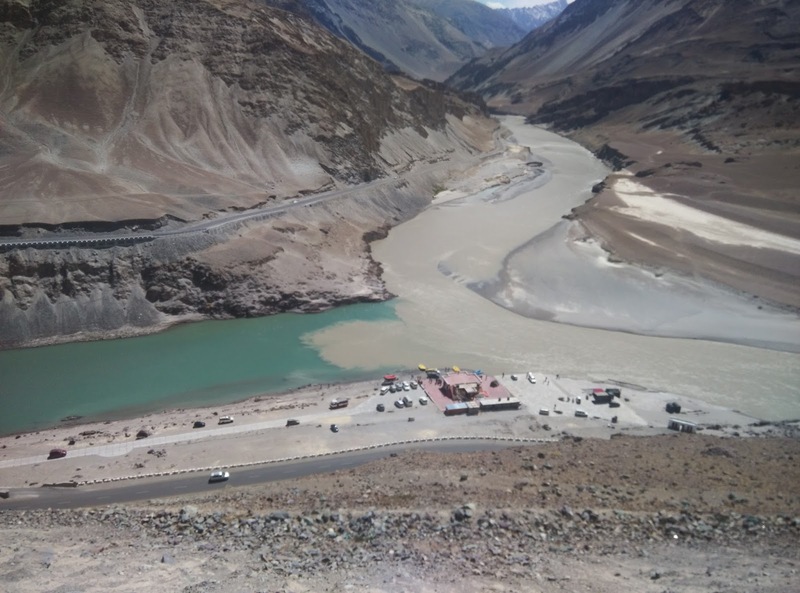 The colours of the two rivers can be distinctly seen at the merge. It is an amazing place to sit, relax and click a few pics. They have the rafting facility at this place. But unless you are there with little kids or lazy, I wouldn’t recommend the rafting offered here. 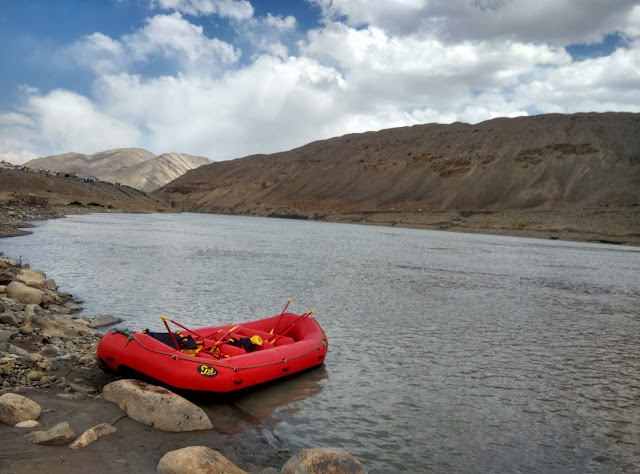 It is a 6kms “touristy” rafting experience where you just sit and hardly row (I think it is boating at best). The Leh market has places which offers longer and challenging rafting experience which I will cover later. The next location was supposed to be The Hall of Fame but it was closed for renovation. This is near the airfield so if you are lucky you will get to see the large cargo flight landing and taking off. The runway is surrounded by hills on all sides so you will see the flights making a turn and immediately landing or taking off and making the instant turn. Well that was all we did in the sightseeing and the time was still 2:30pm. But we were dead tired. Slight headaches and feeling of being feverish. The 24hrs rest when you reach Leh made a lot of sense now. We ate lunch at Gesmo’s in the fort road and went to the room to retire for the day. Oh and none of these rooms here have a fan and you won’t need one either. The sun is so harsh that the solar water heater would give you 24hrs of hot water (if you feel the need to take a bath). 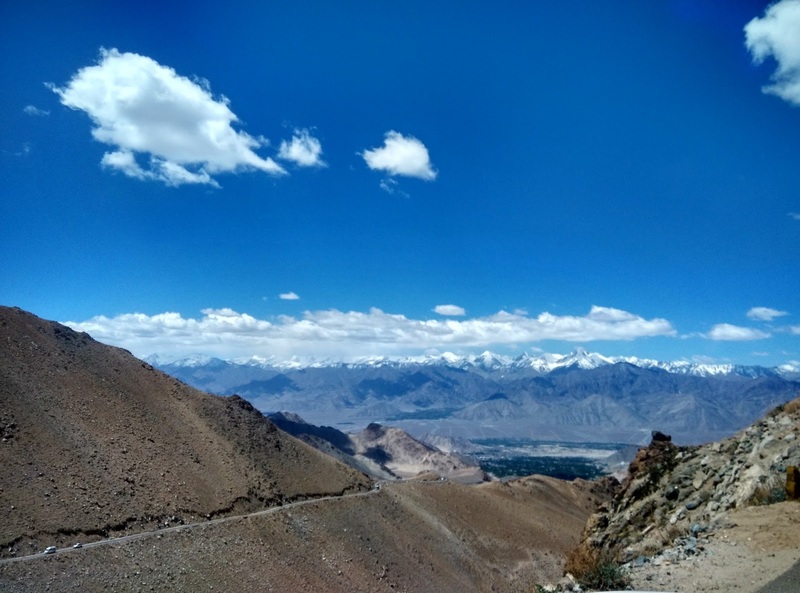 The next day we were supposed to head to the 2 day trip to Nubra Valley which is 130kms from Leh. 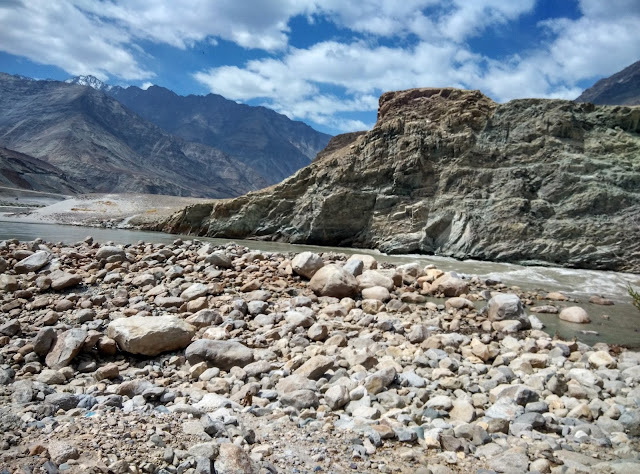 Nubra is called the valley of flowers but somehow we only saw barren lands there. Maybe we went at the wrong season. 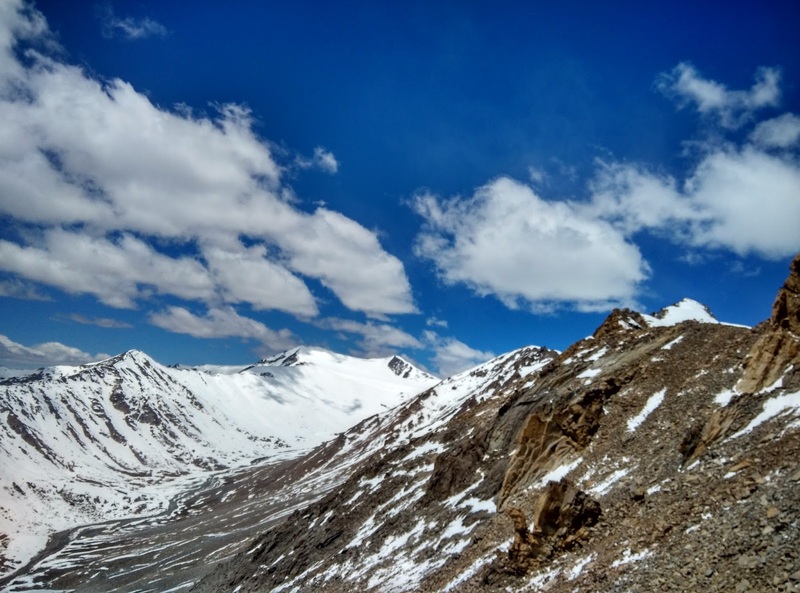 The route to Nubra is through Khardungla Pass which is at 18000 feet (5600 meters). You feel the tiredness within 10 minutes of you stepping out of the vehicle here. But this is the point where you find a lot of snow to play. 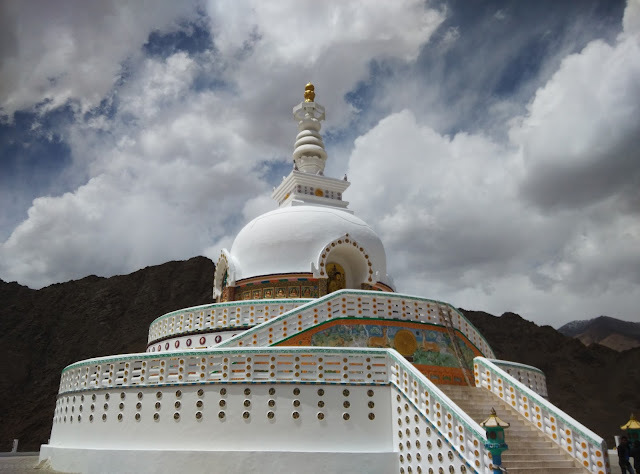 I would recommend spending a few minutes here and then heading down towards Nubra. The snow can be seen for quite a few kilometres so you can stop anywhere enroute to play in snow. 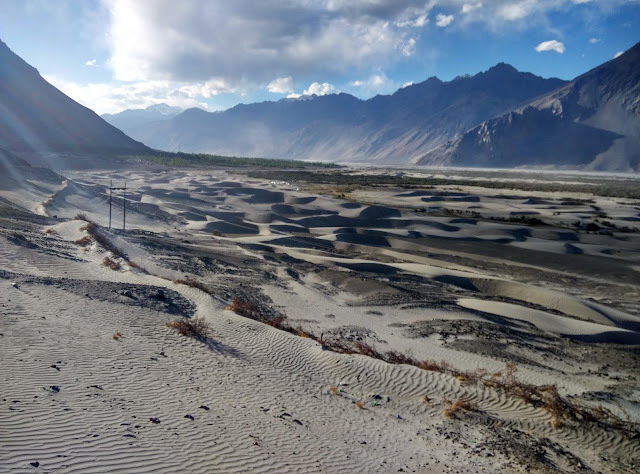 As you enter Nubra, you will see the diversion to go towards Siachen Glacier. At this point you will start seeing the sand dunes. 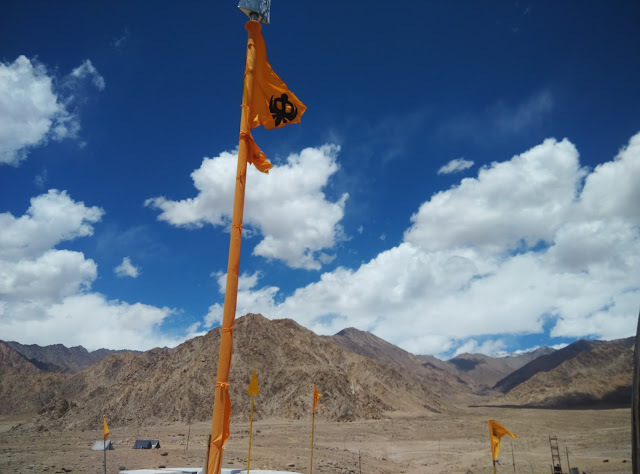 There are ATVs (All Terrain Vehicles) that you can drive on the dunes but the dunes are almost flat and the ride wouldn’t be worth the money you pay (Our driver told us it is around INR 1200 for a short ride). 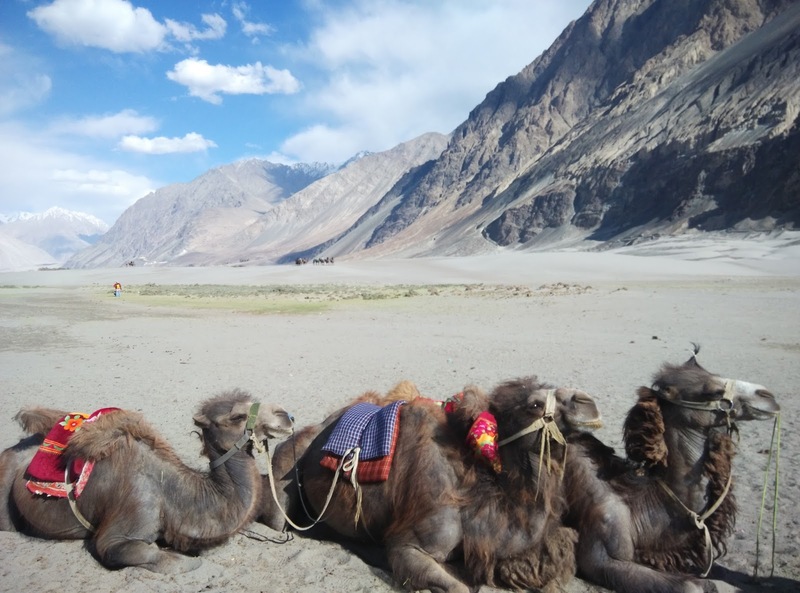 Alternatively you can do the Double Humped Bactrian camel ride at Hunder. 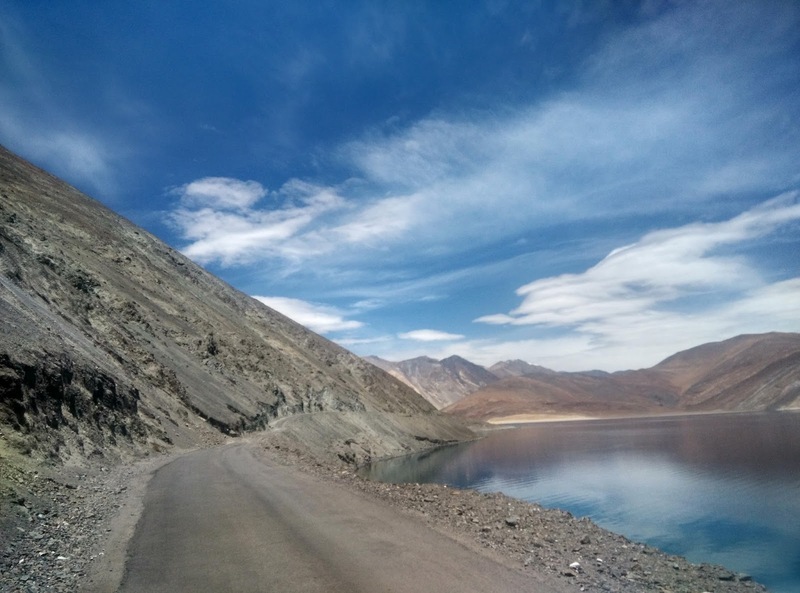 The 15mins ride will cost you Rs 300. 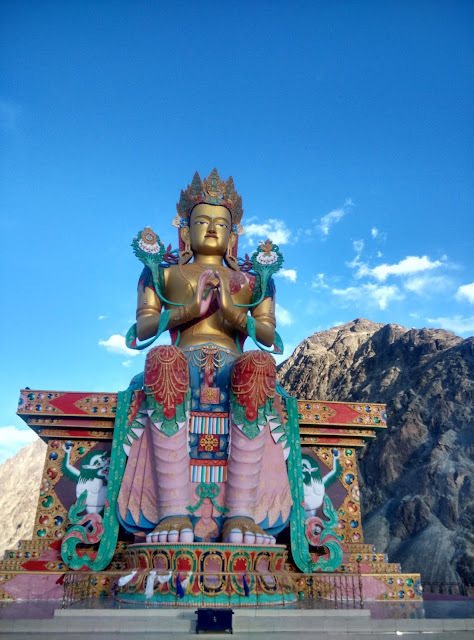 We then visited the Diskit Monastery and the giant statue of Maitreya Buddha (also called future Buddha). Over the past 4 days we had temperature of below 15 degrees but it was really sunny making us uncomfortable. 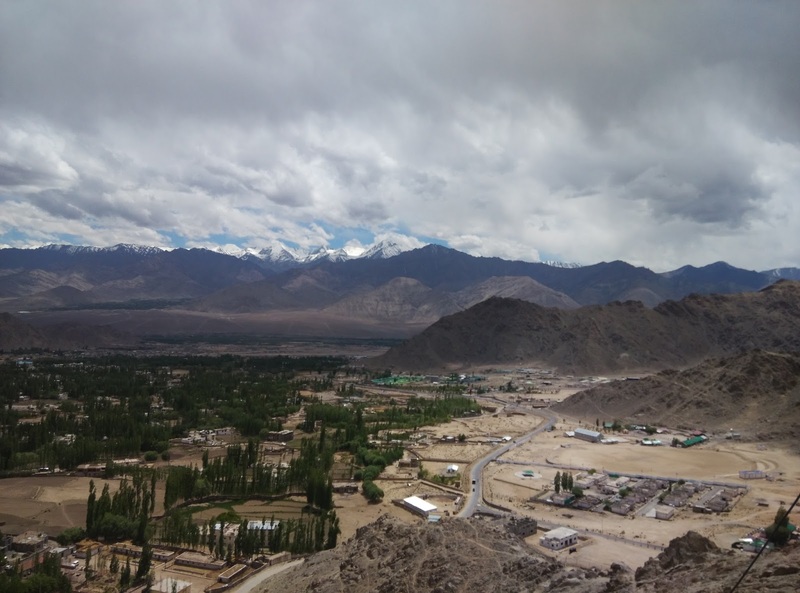 In Nubra the temperature was around 25 degrees which made us sweat a bit but we felt more like home there. One more thing about this place is that it doesn’t have access to any main power grid. The entire town runs on diesel generators and the power is available only between 7pm to 11pm. The next day we head back on the same route back to Leh. This time we were prepared to play in snow and spent over 30mins clicking pics and walking around Khardungla pass (not the peak but in the foothills). We then visited the Leh palace which is actually inside the city. 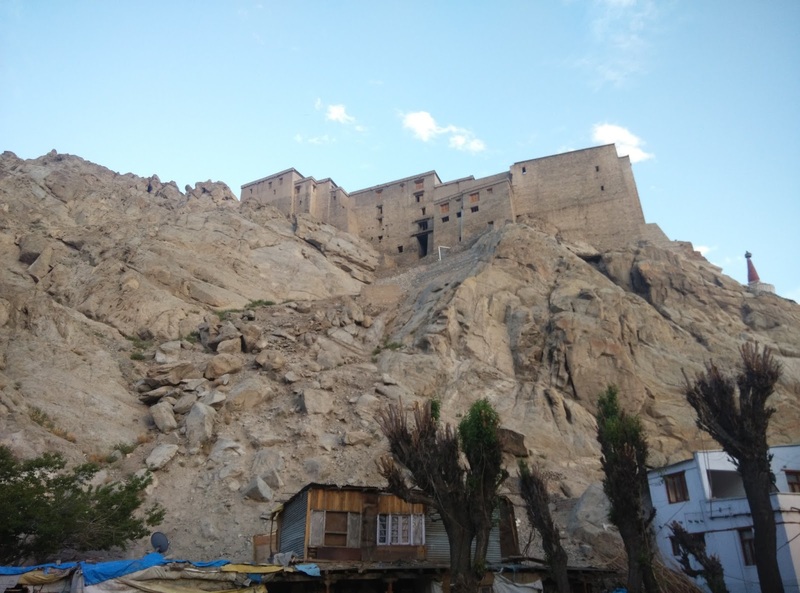 From a distance it looks like the “Tower of Joy” shown in Game of Thrones. We spent the evening window shopping as we had only 2 days left in Leh. 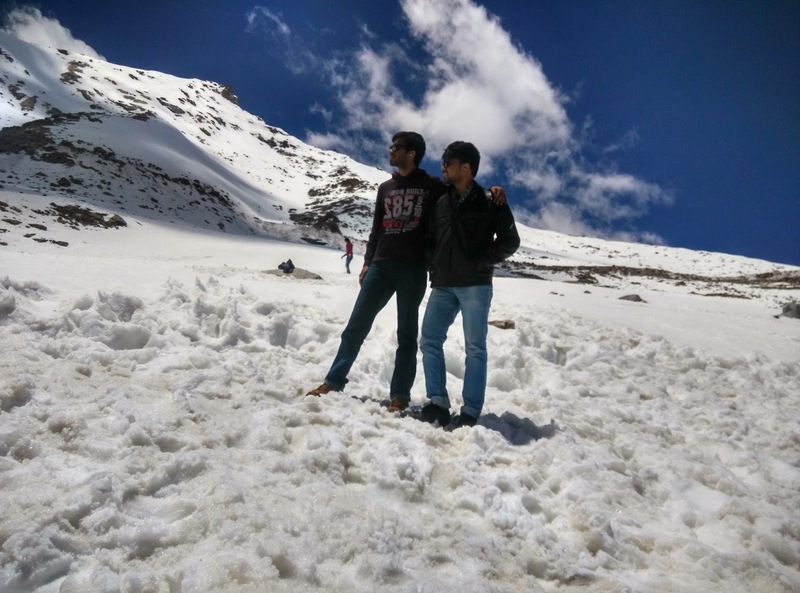 Everything is expensive here and if you are going to Manali then you will get almost everything for a bit cheaper price. But having said that I do believe promoting local tourism so I bought tshirts and the souvenir flags. 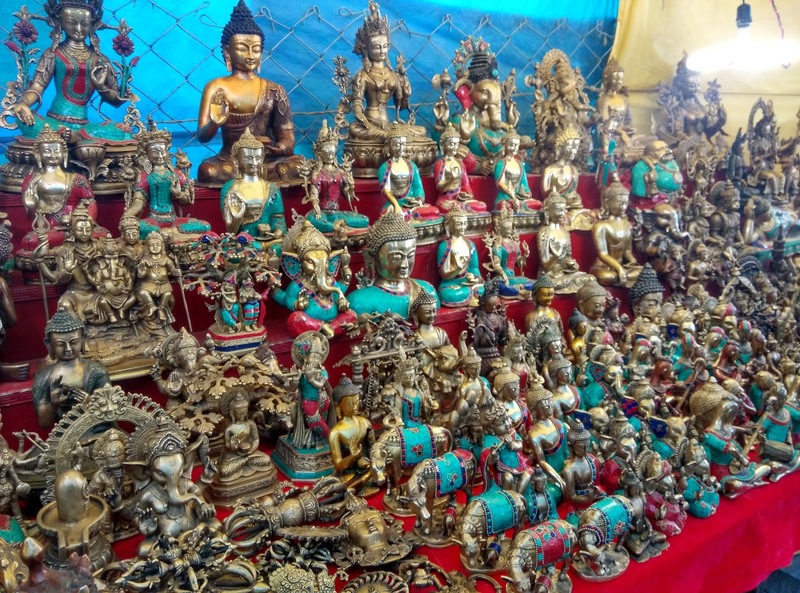 There are refugee shops which sell a lot of Buddha statues and metallic fashion accessories. 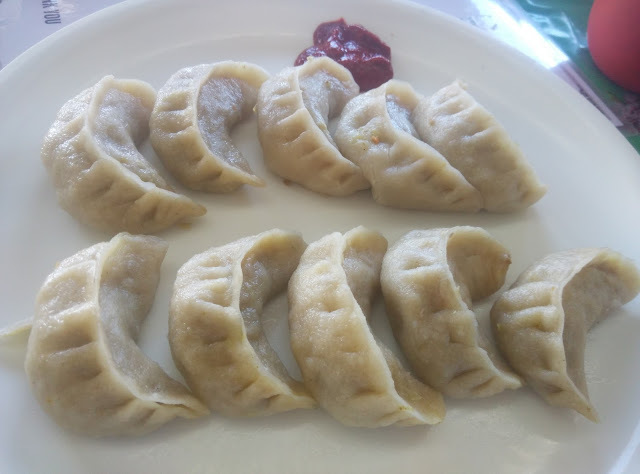 On fort road and the main Leh market street you can find hotels/cafes catering cuisines from all over the country along with Italian/Continental choices. 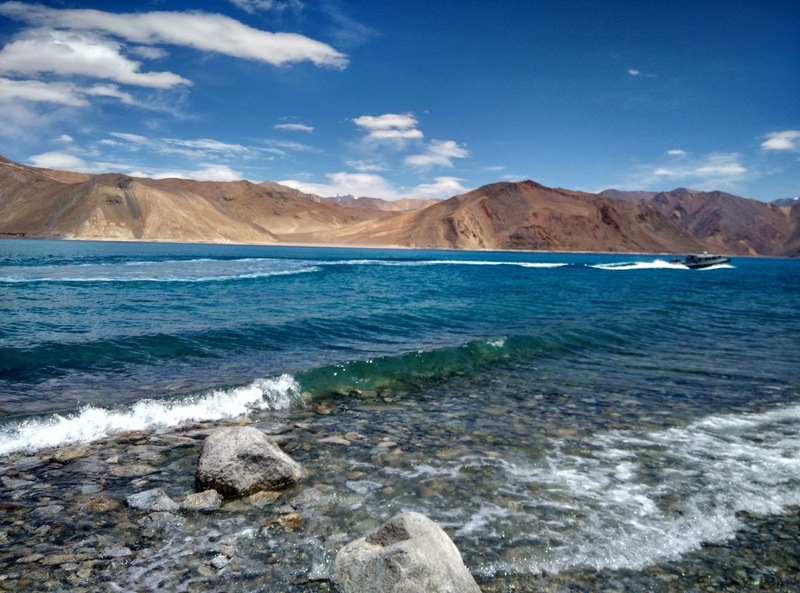 For the next day, our initial plan was to stay in Pangong but we were advised not to as there was nothing worth staying overnight. 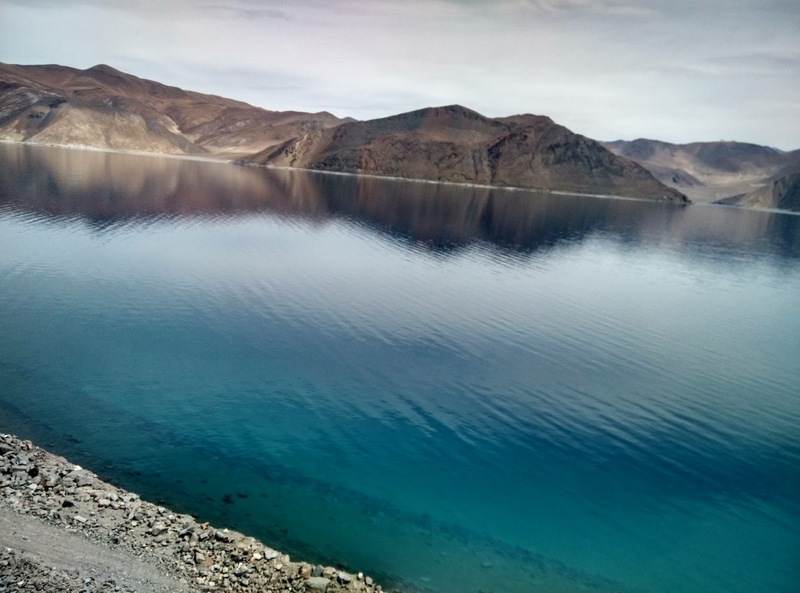 We left hotel at 6am and head towards Pangong Lake which is the highest salt water lake in the world. The road to Pangong is via Chang-La pass. 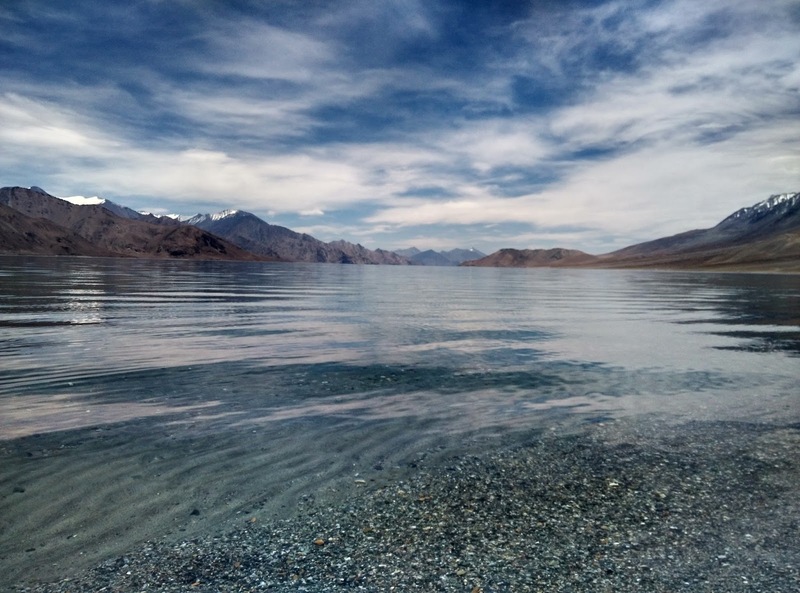 The lake in the backdrop of the mountains make the view spectacular. 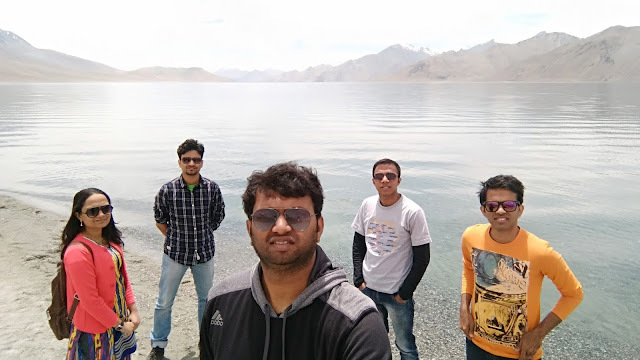 In case you do not know, it is the lake that is shown in the final scene of the movies 3 idiots. 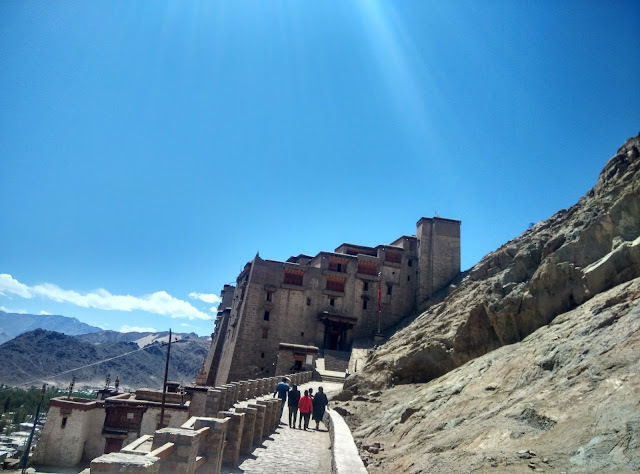 On the way back you can visit the Shey Palace, Thiksey monasteries, Sindhu Ghat and 3 Idiot’s School. 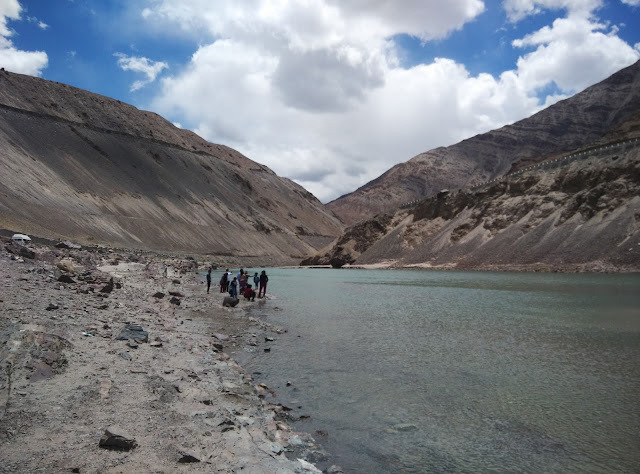 We skipped the first 3 and went to the 3 Idiots school. 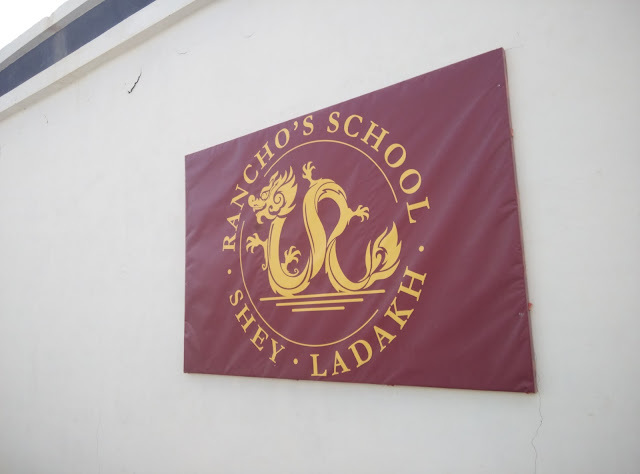 The school has a visitor center called “Rancho’s school” where you can buy their branded merchandise. 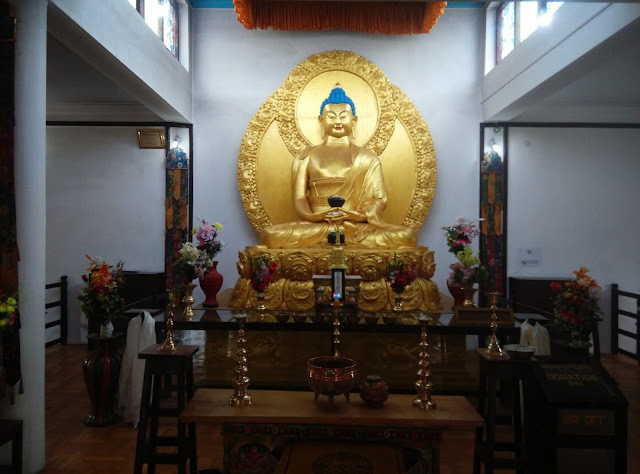 They only allow guided tours to the school premises which is free but is done only between 10am and 5pm. We reached late and missed the tour. 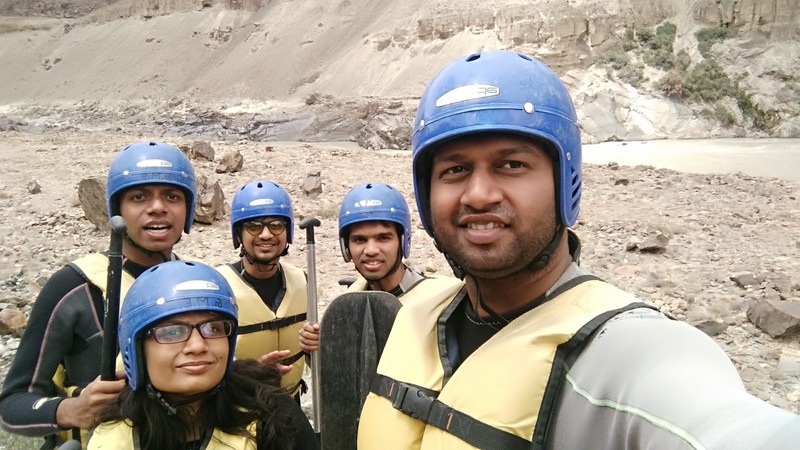 The final day in Leh was an extra we included in our package - White water rafting in Leh. Above I wrote about the boring 6kms option. The other options are 14kms Indus River Rafting and 28kms Zanskar river rafting. The cost is 1200/person for 14kms and 1400/person for 28kms (including transport and hot lunch). 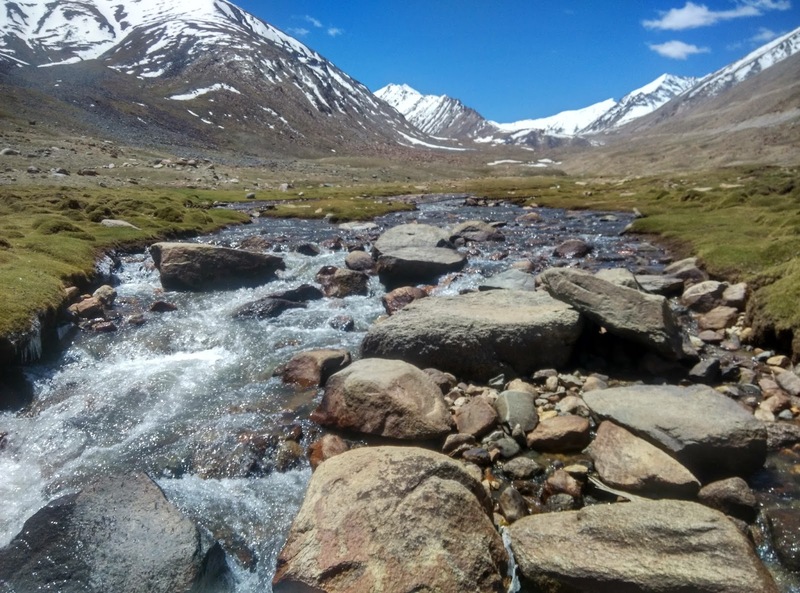 Since we went early June and summers were still setting in, the river had low water level. So the rafting was not fully operational. We were given a special 18kms rafting which started from the Zanskar River and ended in Indus. The rafting operators give us the wet suit and all safety gear. 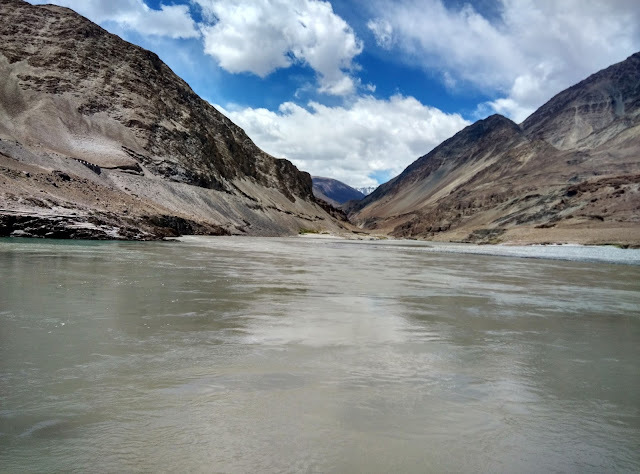 This stretch consists of 2 grade 3 rapids and 1 grade 4+ rapid. 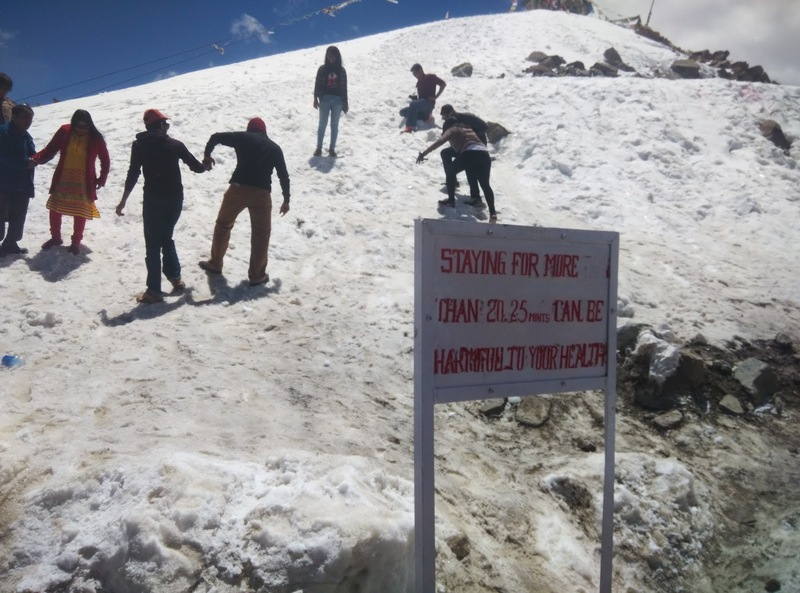 It was a thrilling experience in that altitude and cold. Oh, and we jumped into the water and were there for almost 15mins. Would have covered a km just floating while we waited for our raft to come pull us in. We did our rafting with White-n-Wild exploration. We were back in hotel at 5pm and for rest of the evening we had to pack. 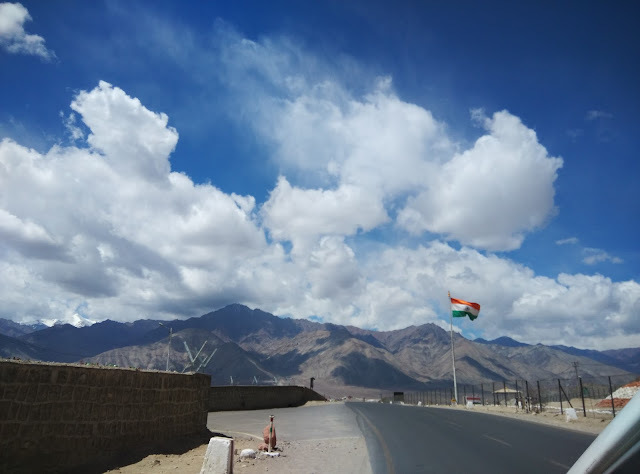 That was end of Leh for us. 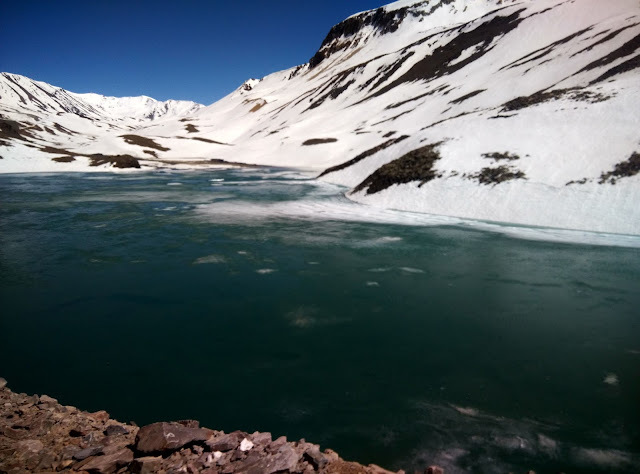 Next morning we were scheduled to leave to Manali at 4:30am. It was 490kms of single day journey. 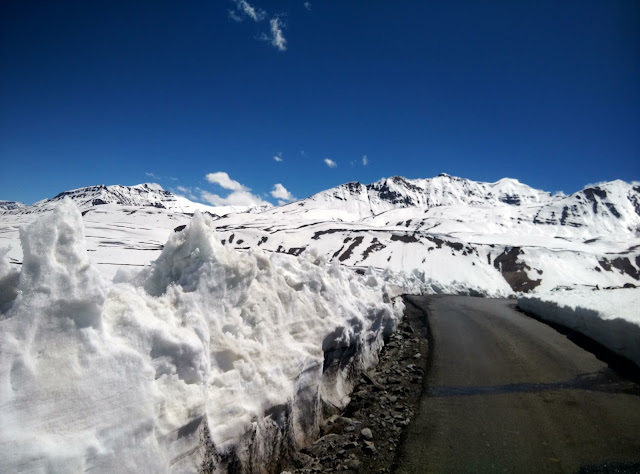 Baralacha Pass (4890m) is on the J&K side and then we enter Himachal Pradesh. You can find frozen lakes and lot of snow in this stretch. 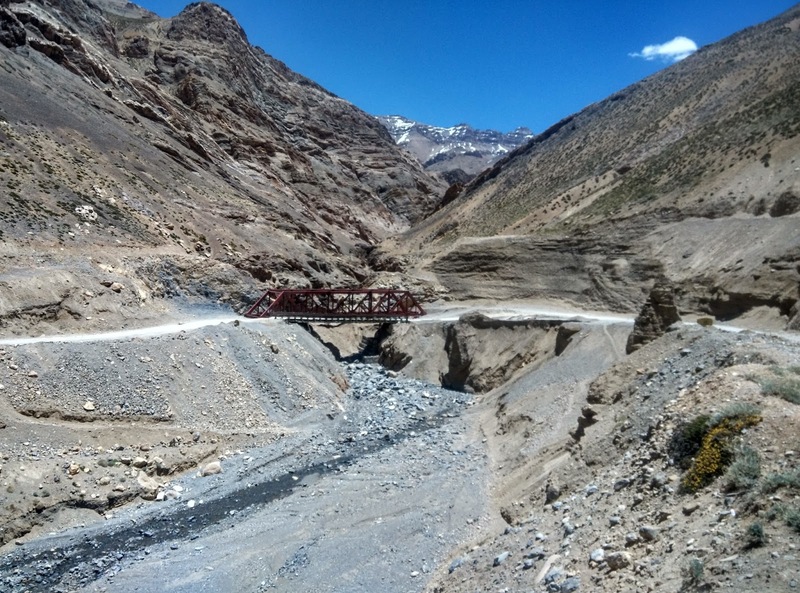 This route remains closed for most part of the year so there are no public convenience amenities on the way. 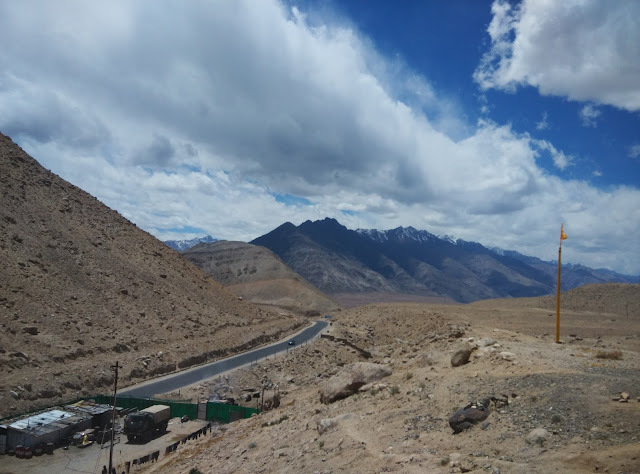 We passed by this stretch a week after the Manali-Leh opened up so we hardly had any traffic on this route and also there were very few dhabhas. Well that is all I have in this post. I have covered all the places that any package tours that you take would have. If you are flying directly to Leh then chuck the package tours. 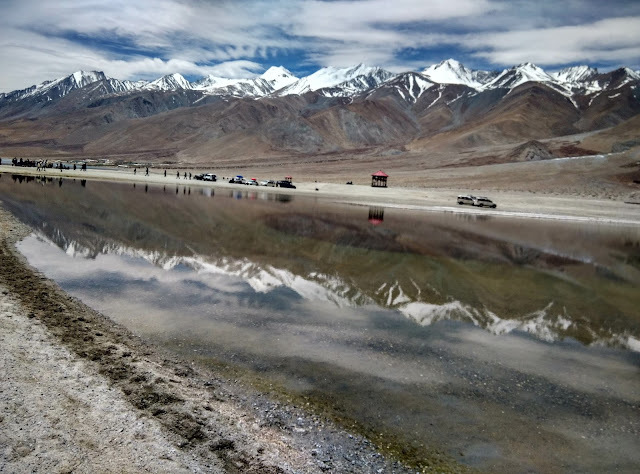 Book a hotel for the entire duration and talk directly to the vehicles in the Leh market for a discounted quote. 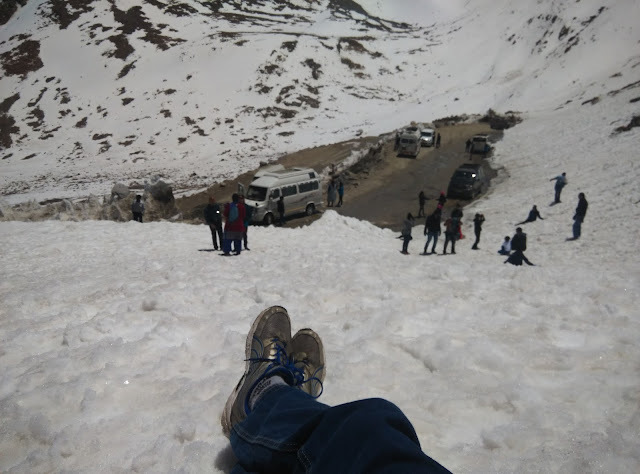 The cab rates are between INR 9 to 12 per kilometer based on the car you choose. So 5days/1250kms should cost you not more than INR 20K all inclusive. You also have an option of sharing cabs at the various tour operators you find across the city.